In September 1994, an American sitcom that revolved around a group of friends in Manhattan aired on NBC. It launched to positive reviews during the initial weeks but after a few months it had become a rage among young people in the country. Within a few years the show became extremely popular around the world converting its main cast members into global celebrities. Originally titled “Insomina Cafe” it later went on to be known as FRIENDS. During its 10 year telecast period and even after the show ended in 2004, there were numerous failed attempts by other networks including NBC itself to create a similar show. None of those experiments worked however the core plot of FRIENDS was borrowed to design new concepts that viewers would take a fancy towards later. The idea of having a group of guys and girls hanging out with each other and meeting frequently in a coffee shop, bar or restaurant started cropping up everywhere. Popular examples of such shows were Rules Of Engagement, Coupling and How I Met Your Mother. The latter infact is also set in New York City and comes really close to imitating the success of FRIENDS. How I Met Your Mother, abbreviated as HIMYM along with The Big Bang Theory have been among the most popular US sitcoms since they were launched in 2005 and 2007 respectively. Known for its unique structure and eccentric humor, HIMYM is based on a narrative format where the character of Ted Mosby is narrating the story of “how he met his wife” to his children. Similar to other successful television shows which transformed the lives of their main cast, How I Met Your Mother too has brought its lead actors into prominence. If you happen to be follower of the show and an ardent fan of Barney’s pick-up abilities then read on as we take a look at the real people behind the famous characters. Remember Doogie Howser M.D, the 1990s comedy-drama that chronicled the life of a 14 year old doctor who would always end his day with a diary entry on his computer. Well, that teenage prodigy was none other Neil Patrick Harris who was most remembered for his performance in that show till How I Met Your Mother came along. In HIMYM, Neil essays the role of the Legend dary Barney Stinson who is known for charisma and sensational ability to pick up women for one night stands. Rarely does a show manage to create a brand out of one of its lead characters. FRIENDS managed to do so with its entire cast but other shows are lucky if they can just manage one. Barney Stinson in How I Met Your Mother is one such brand who is loved by bachelors and single men around the world. He is considered as the show’s breakout character and credited for much of the sitcom’s success. Neil infact picked up the People’s choice award for Favorite TV actor for his work on the show in 2012. In real life though Neil Patrick Harris is very different from his persona of Barney Stinson. For one he is gay and engaged to american actor and chef David Burka. David and I did propose to each other, but over five years ago! We've been wearing engagement rings for ages, waiting for an available date. The 40 year old artist has however been in the world of acting and entertainment since he was 15 years old. His filmography includes film, television, theater, web television, hosting live shows and even video games. He has been nominated and has won numerous awards including an Emmy award for his performance as a guest actor on GLEE. 39 year old Joshua Thomas Radnor was a small-time TV actor playing low key roles in popular shows such as ER, Law & Order, Six Feet Under till he landed the lead role of Ted Mosby in How I Met Your Mother. This is till date his biggest break in the American television industry as the show is all about him and how he met the mother of his children. Highly well-educated in fine arts, Josh holds a B.A in drama and Master of Fine Arts degree in Acting from the Tisch School Of Arts. 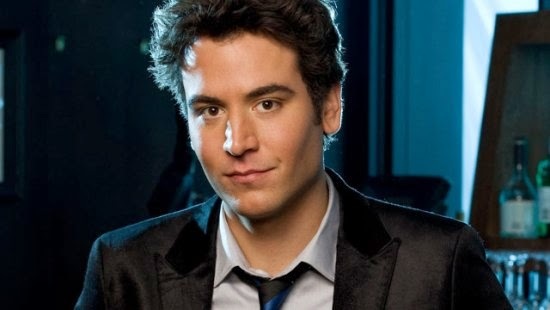 He was apparently chosen for the character of Ted Mosby since his persona was a close match to that of Carter Bays, one of show’s co-creators. The character of Ted is loosely based on Carter while that of Marshall and Lily is based on the show’s other co-creator, Craig Thomas and his wife Rebecca. Not much is known about Josh or what he will do after the show ends in 2014. Apart from being an actor he is also a director, producer and writer who dabbles with making his own films from time to time for smaller audiences. Probably, the most good-looking face on the show, 31 year old Canadian actress Cobie Smulders plays the key role of the peppy Robin Scherbatsky in How I Met Your Mother. She smokes cigars, drinks scotch and easily jumps from one relationship to another making her a slightly more toned down female version of Barney Stinson. Similar to her character in the series, Cobie is actually from Canada where she was a professional model. The success of HIMYM has really worked wonders for her career as she has begun winning noticeable roles in big budget movies such as The Avengers, Delivery Man and Captain America, The Winter Soldier. Before How I Met Your Mother, Cobie was only seen in small budget films and appeared for a few episodes in television series such as Smallville and the L Word. 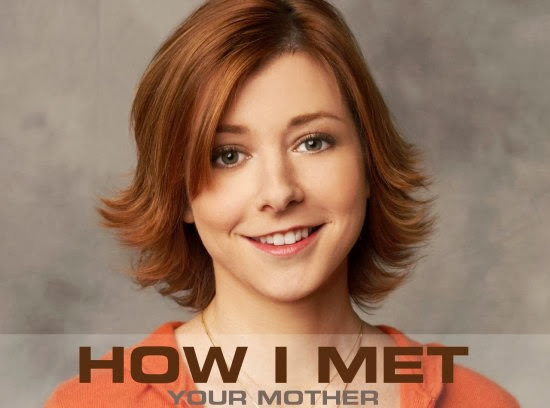 Best known for playing the role of Michelle Flaherty in the American Pie film series, Alyson Hannigan essays the character of Lily Aldrin in HIMYM. In many ways Alyson’s character looks similar to Lisa Kudrow’s portrayal of Phoebe Buffay in FRIENDS. Lily is the group’s moderator, always there to resolve a conflict or to offer a shoulder to cry on. Similar to her personality as Michelle in American Pie, Lily too is quite fierce and sexually ravenous, and has desires similar to those of Barney. In real life Alyson is a 39 year old psychology major who is married with two kids. Like some of the other cast members on How I Met Your Mother she starred in a few episodes of other hit television shows such as The Simpsons, Veronica Mars and That 70s show early in her career. Alyson along with Neil Patrick Harris is the only other actor among the cast to have won the People’s choice award for her performance on the show. Finally, the part of Ted’s best friend and Lily’s husband Marshall Eriksen is essayed by the talented Jason Segel who is now regularly seen in the lead in mainstream Hollywood movies such as Bad Teacher and The Five Year Engagement. Similar to how Monica, Ross and Chandler formed the core group that created the set of six on FRIENDS, Marshall, Ted and Lily too were the initial group before Barney and Robin joined in later to create the pack of five. Apart from the above who are essentially the main cast members of HIMYM, Ted’s children are also seen in every episode albeit for only a few minutes at most. The on-screen names of Ted’s kids haven’t been revealed yet but their characters are played by Lyndsey Fonseca (the daughter) and David Henrie (the son). How I Met Your Mother has been running for eight years as of 2013 and its ninth season launching on September 23, 2013 will be the final season. The show has infact stretched its duration as a result of which its ratings have dropped in the past few years. The ninth season though is expected to do very well as it will wrap up the entire series eventually revealing the identity of Ted’s wife towards the end.